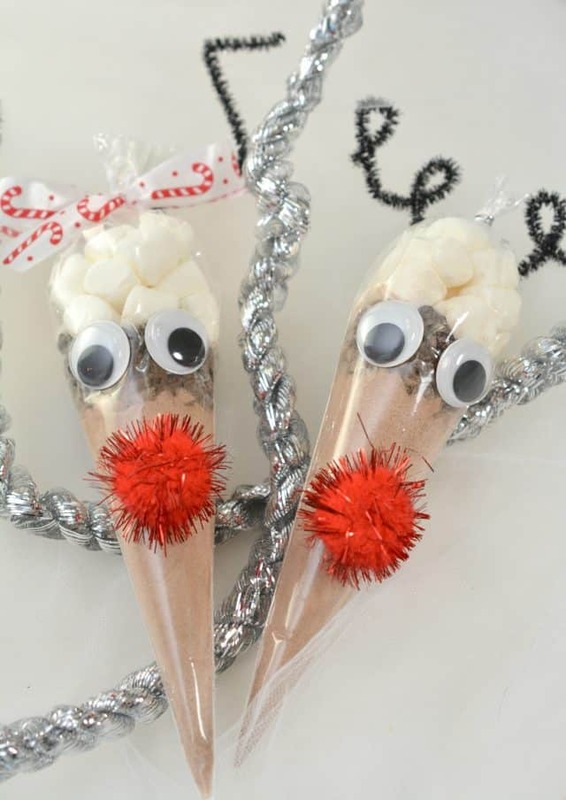 Adorable and easy to make Reindeer Cocoa Treat Bags are perfect stocking stuffers, hostess gifts or gifts for anyone that you love! 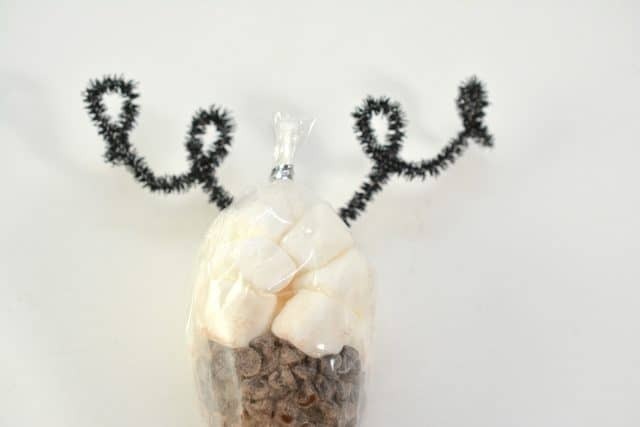 Christmas is right around the corner and we are having so much fun making these Reindeer Cocoa Treat Bags! 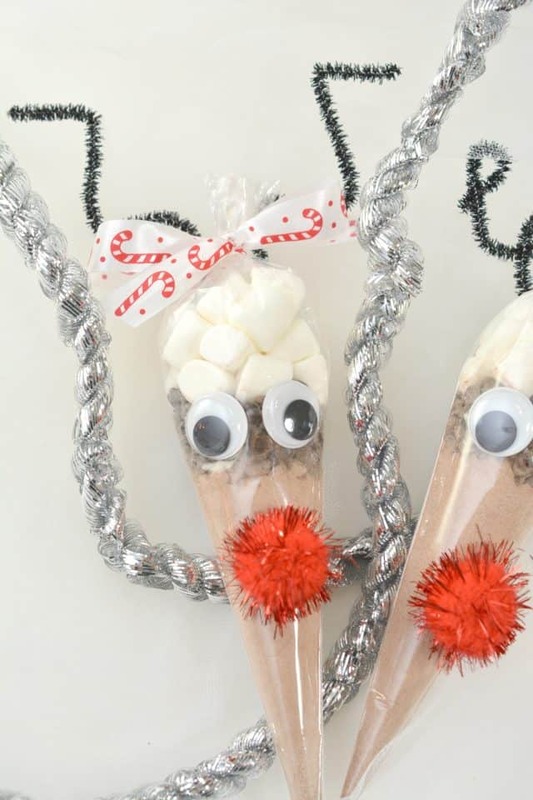 These DIY Christmas gifts are called Reindeer Cocoa Treat Bags, and they are a fun way to celebrate the season. This is the cutest gift idea for teachers, classmates, grandparents, and pretty much anyone else who appreciates a gift from the heart. 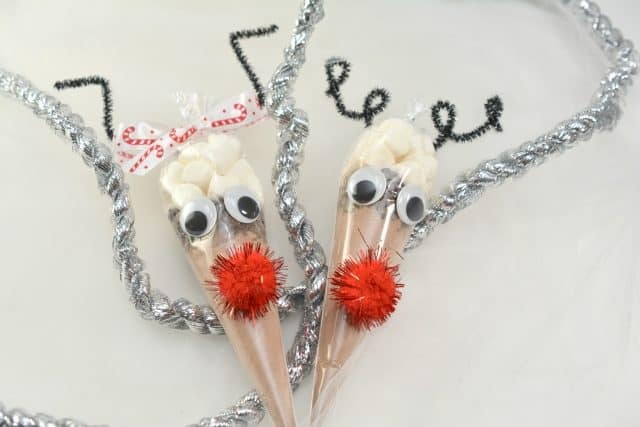 They are super simple to make and will bring a smile to those who are gifted them! 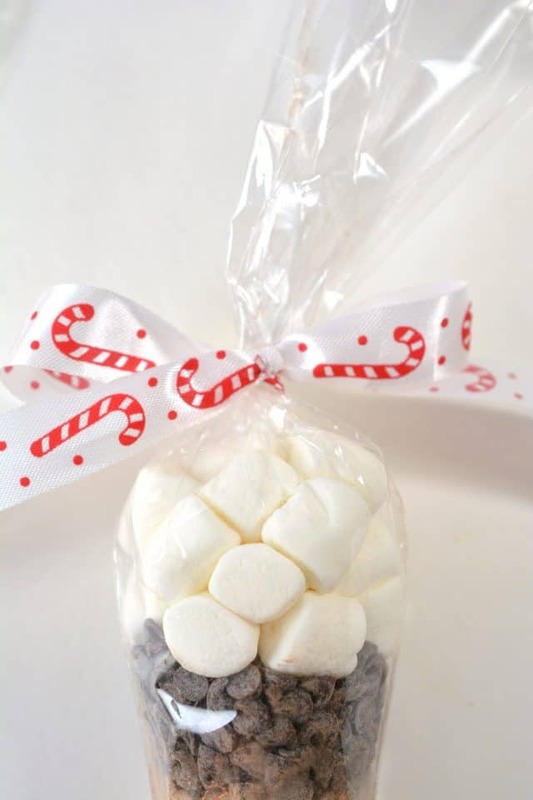 Place 1 packet of hot cocoa into the bottom of a clear triangle shaped treat bag. 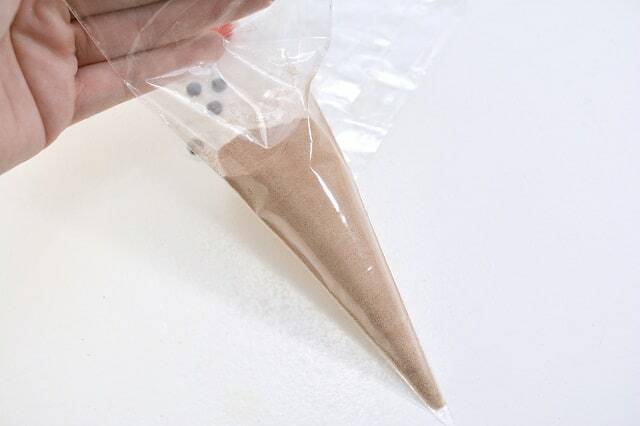 Put a handful of mini chocolate chips on top of the hot cocoa powder. 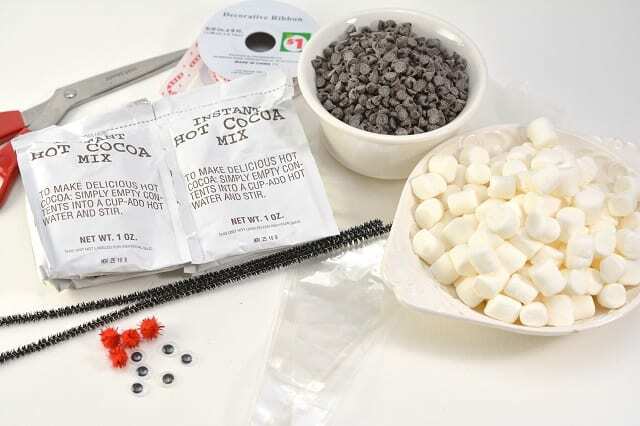 Add a few mini marshmallows to the top of the chocolate chips. Cut off the access of the bag. 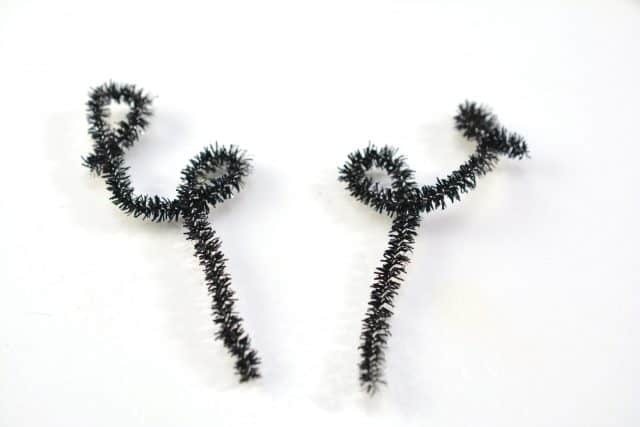 Cut a pipe cleaner in half, and twist the two pieces into antlers in any shape that you like. Using a low-temperature hot glue gun, attach two antler shapes to the back of the top of the bag, one on each side. 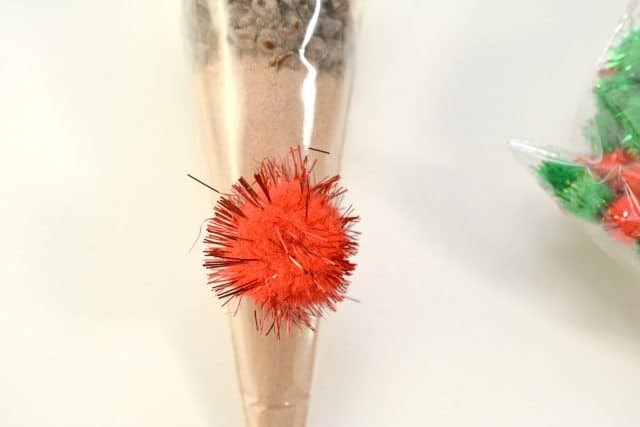 Use glue to attach a red craft pom pom to the front of the filled treat bag. This will be the nose of your reindeer. I love the noses and fun eyes! 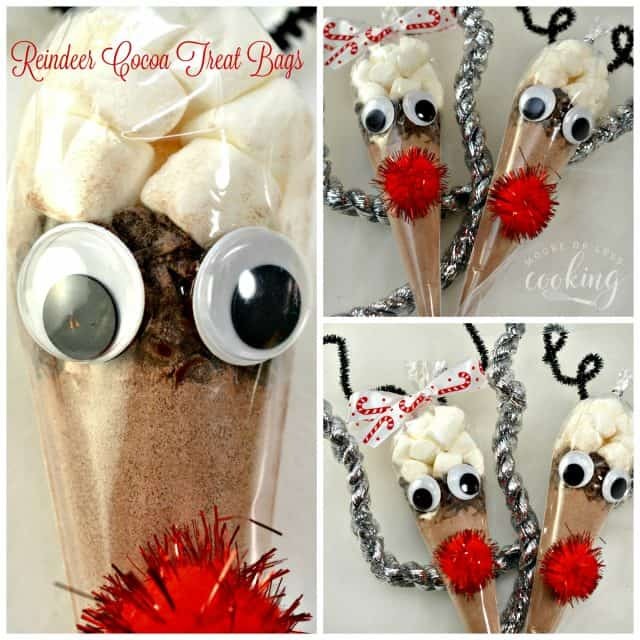 So much fun to make and delicious hot cocoa treat for later! Give them to your favorite friend, neighbor or grandparent! I have seen this online selling for $5 for the pair. You can make them for a lot less! Be sure to follow me on Instagram and tag #mooreorlesscooking so I can see all the wonderful recipes and crafts that YOU make from this site! 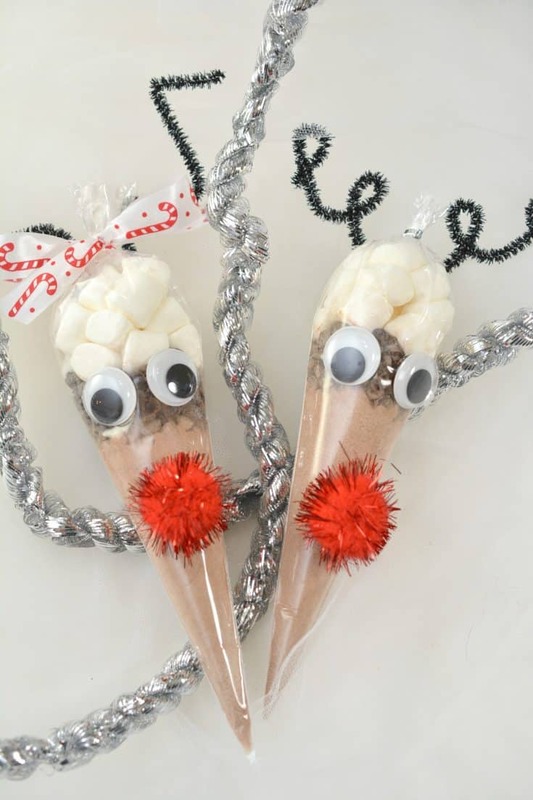 A fun and delicious craft gift for everyone! 1. 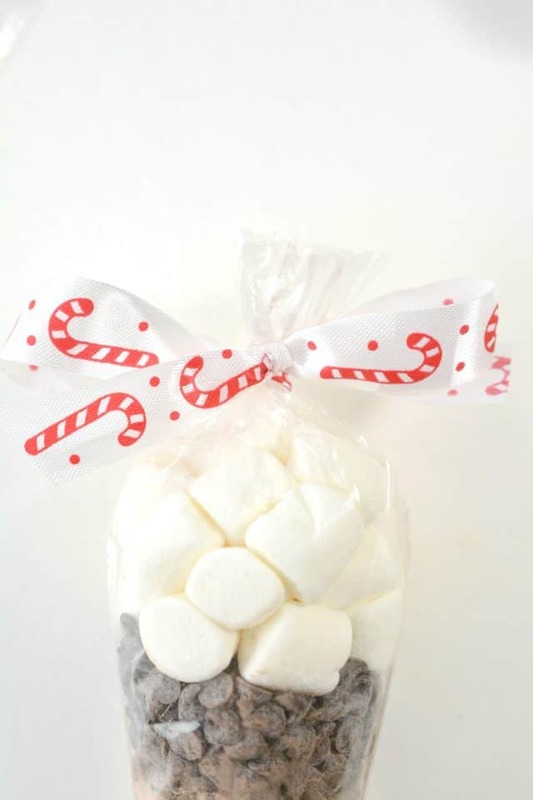 Place 1 packet of hot cocoa into the bottom of a clear triangle shaped treat bag. 2. 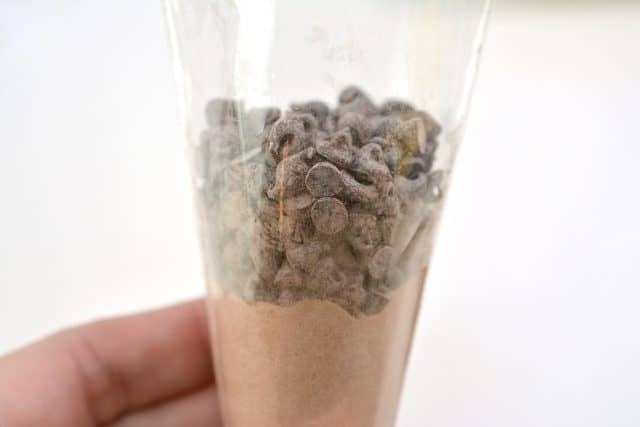 Put a handful of mini chocolate chips on top of the hot cocoa powder. 3. 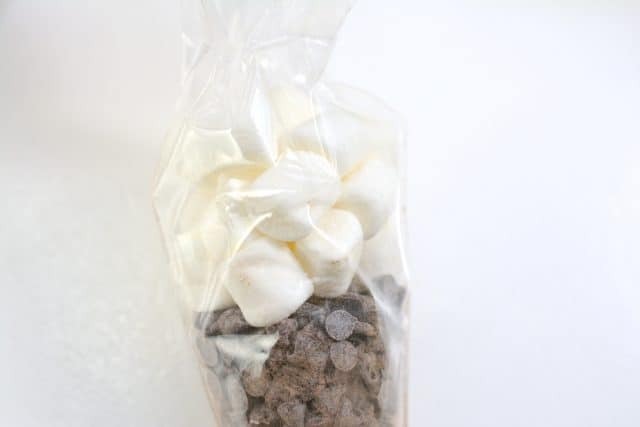 Add a few mini marshmallows to the top of the chocolate chips. top of the bag. 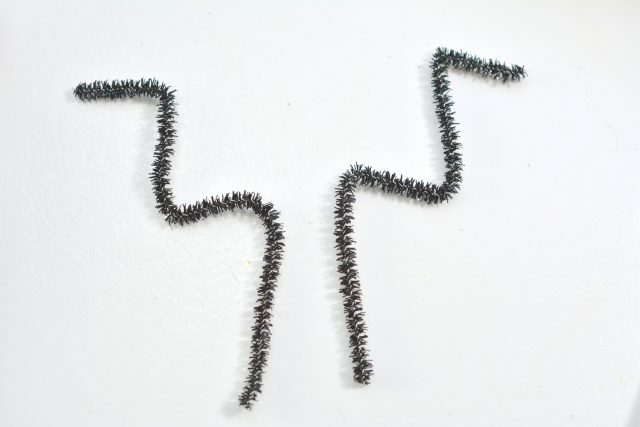 For a male reindeer, use a twist tie to secure the top of the bag. of the bag, one on each side. the nose of your reindeer. 8. 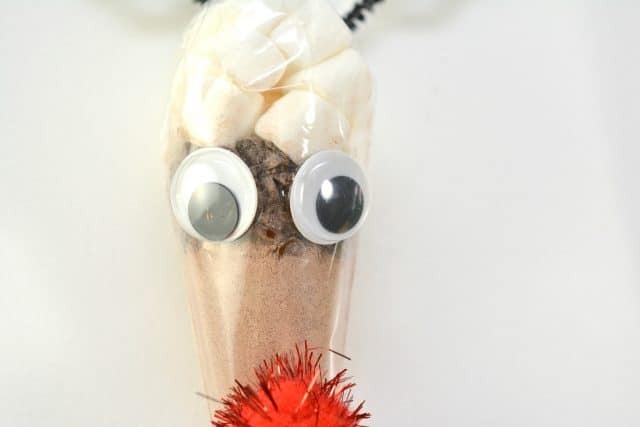 Attach to googly eyes to the front of your treat bag above the pom pom nose.